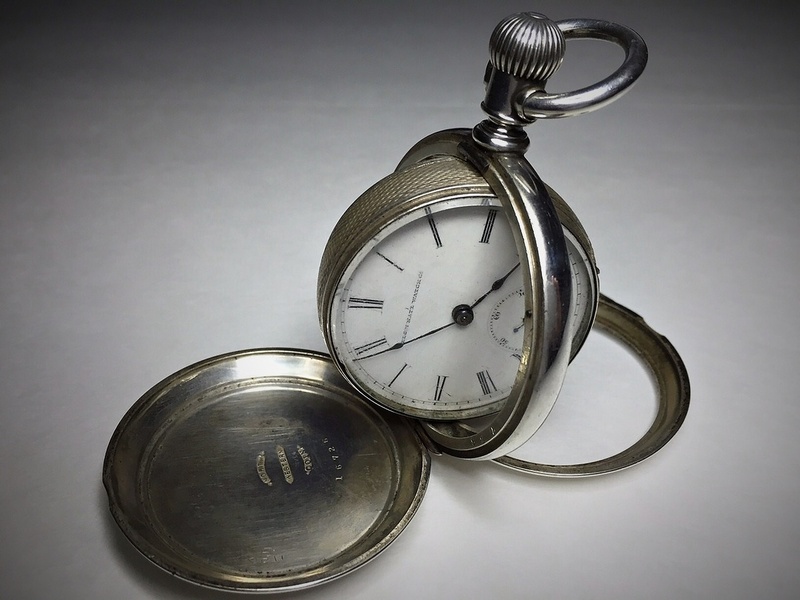 In Pocket Watches > Elgin Pocket Watches > Show & Tell and Silver > Coin Silver > Show & Tell. It's been a while since my last posting here on CW, so I would like to start by saying hi to all my old friends! 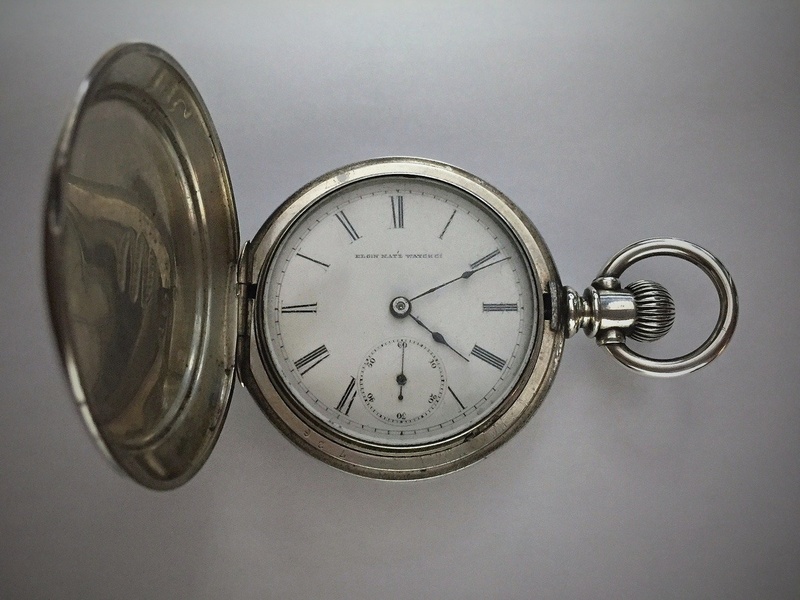 Filed for patent (# 275251) as the "Magic Watch-Case" by Edward A. Muckle, Rockford, IL. on August 5, 1882 and the patent was granted on April 3, 1883. 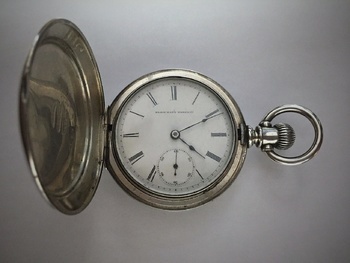 This 18 size Muckle case has a pre patent (patent pending) date of 1882 and was produced before the actual patent was granted. 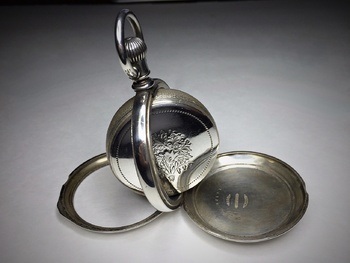 The case is made of coin silver and houses an Elgin movement. Though these cases functioned very well, I believe they were more of a novelty or a must have. Very unique and hard to come by, these cases are highly sought after by collectors. It took a while, but I was finally able to get my hands on one! Hello pops , miss ya !! A great pocket watch!! Beautiful watch, and welcome back ! Hi Pops.... nice to see you again :).... Incredible time piece and design ! Ken, its so good to have you back! Missed you my friend. Hope you are doing well. :) Its a beautiful watch!! This one is a stunner, never seen the same! Don't know how I missed hitting the love button on this one because I have looked at it several times. 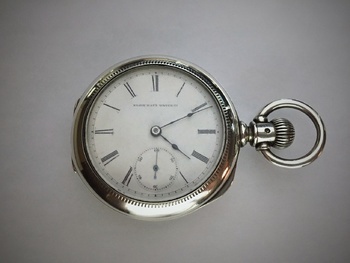 Great case & watch.